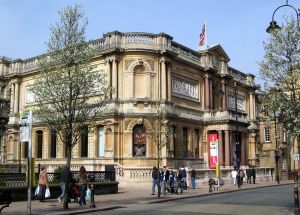 A wide-ranging museum of British and Eastern art, housed in an historic Victorian building. The museum covers such diverse themes as local artists, Pop Art, Georgian and Victorian artwork, and local Japanned ware. Philip Horsman was a successful Wolverhampton building contractor. In 1884 Horsman paid for, and built, a combination art gallery and School of Art, on land given by the city. The new building was designed by architect Julius Chatwin and featured a decorative frieze around the exterior highlighting 16 different arts and crafts, including painting, metalworking, glassblowing, architecture, and pottery. 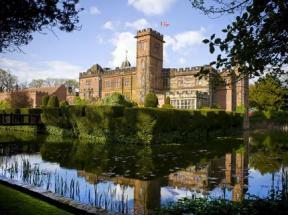 The building is a wonderful example of mid-Victorian architecture and is listed Grade II* for its historic interest. The museum initially held collections donated by local industrialists, including Horsman himself, focussed on 19th century British art. This Victorian focus remains the gallery's strong point, but later bequests broadened the gallery's focus. In the first half of the 20th century artist Frank Brangwyn donated many of his own paintings, and in the early 20th century the Bantock family donated Eastern ceramics, glass, and applied art objects. In 1924 the museum added a collection of Eastern and Oriental weapons. As you might expect, the gallery has a strong collection of works by local artists, including painters George Phoenix, Edwin Butler Bayliss, and Joseph Vickers de Ville. But there are some unexpected exhibits, including a collection of art related to the Troubles in Northern Ireland, and a large collection of Pop Art. Another highlight is a large collection of Bilston enamel objects and Japanned ware. Both industries helped establish Wolverhampton as a centre for manufacture in the 18th and 19th centuries. Other themes include dolls and toys, ceramics and glass, geological specimens, and local history. The museum holds over 12,000 objects in total. There are 4 main galley areas set aside for the permanent collection. One appealing feature is that the rooms are decorated to represent the time period covered by the art on display. So you can find Georgian art in a room decorated in traditional Georgian fashion, and a pair of Victorian rooms showcase British 19th century art. The Pop Art gallery is an interactive space with displays that change twice a year to reflect different aspects of popular culture. This gallery has exhibited works by pop artists like Andy Warhol, David Hockney, and Peter Blake. Displays cover the whole gamut of pop culture, from celebrity to pure kitsch and nostalgia. In addition to the permanent collections the gallery has a regular series of temporary exhibits covering photography, drawing, multi-media, sculpture, and painting.